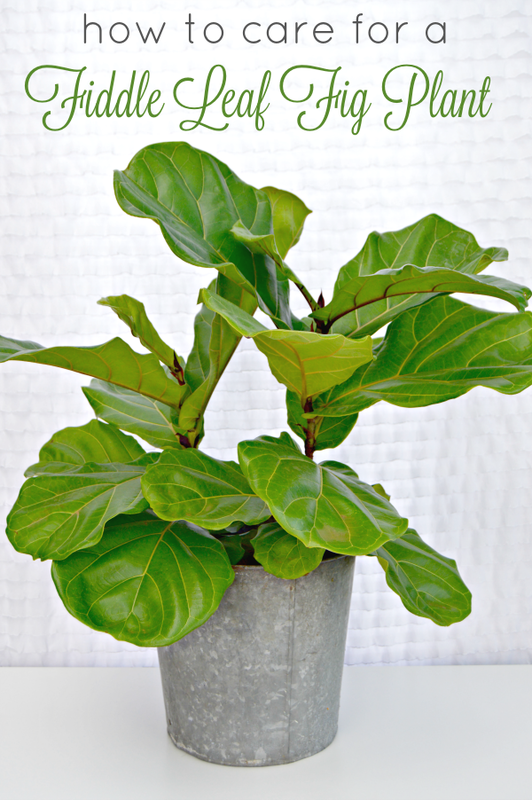 The fiddle leaf fig (also known as Ficus Pandurata) plant is probably one of the most coveted house plant available. 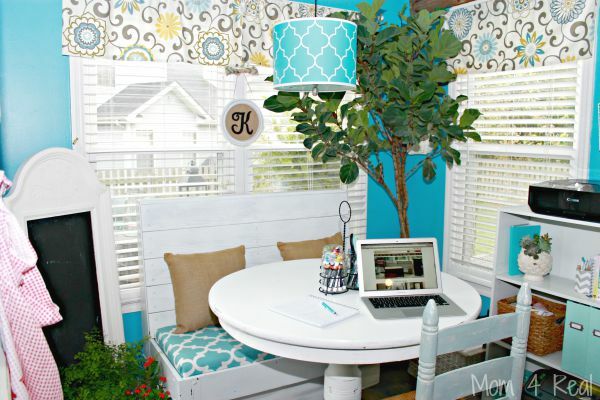 I spent almost 2 years trying to find the perfect one for our breakfast nook and when I found it, I seriously danced around Michler’s greenhouse! Today I want to share my tips on how to care for a Fiddle Leaf Fig plant and share where you can find your own! 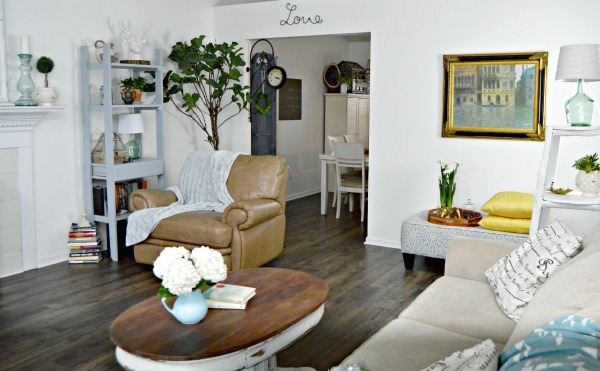 The fiddle leaf fig plant is not hard to take care of, but you do need a few tips. You will need to water your fig plant/tree only when the top inch of soil is dry. Overwatering can lead to rotting of the roots. Just realize that depending on the season, you may need to water more or less often do to the change in seasonal humidity. Be sure to keep your fig in a bright space with indirect sunlight. This means that it needs to be in a space that gets light from the windows, but no directly in front of a window with light barreling in. You should fertilize your fig once a month during “growing seasons,” but don’t fertilize in the winter months. When the fig’s roots begin to grow through the bottom of your pot, it’s time to re-pot to a larger pot. This will allow your fig to grow and flourish. Because the fiddle leaf fig has such large leaves, you will need to dust them with a soft, clean cloth so they can absorb light better. Caring for your fiddle leaf fig shouldn’t be hard. Just follow these simple steps and your fig should bring you tons of joy! A few places that I have heard carry Fiddle Leaf Fig Plants are IKEA and Home Depot. I have never been lucky enough to find one at either store. I found my large tree like fig at a local nursery here in Lexington, KY called Michler’s. I ordered the smaller one (which is actually 3 ft tall) on Amazon. You can find a similar one HERE! 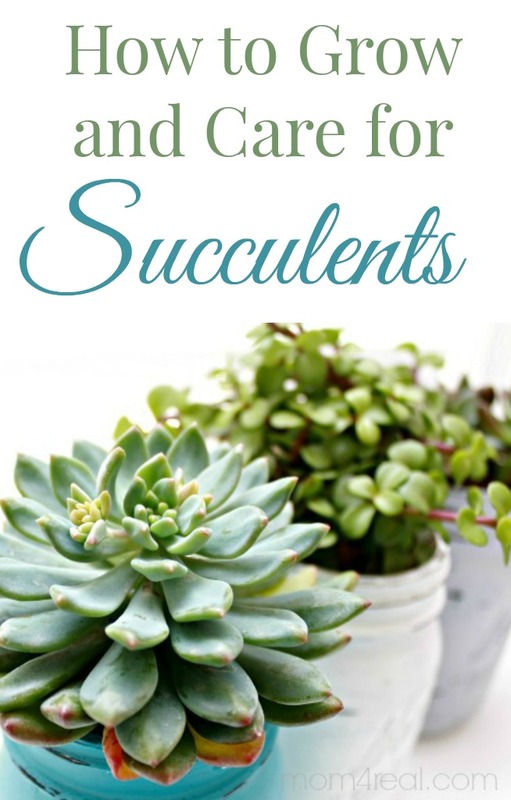 You can find guides and ideas for Air Plants and Succulents below! I enjoy your articles very much and hope you can help me with my Peace Lily. It was huge when I bought it home but then I went on vacation and turned my thermostat down to 55 while I was gone that week. Needless to say, I didn’t do my poor plant any favors. That was the end of December and it still hasn’t recovered. I’ve trimmed all the dead/dieing leaf stems off and the thing looks so pitiful I want to cry. Try adding some coffee grinds to the soil. Just sprinkle them on before watering and place your Peace Lily in front of a window. Hopefully in a couple of weeks she will bounce back! I have a fiddle leaf fig plant that I brought home from my grandmothers funeral in August l995. When it gets to spindly I just cut it off about six inches and it starts putting on new leaves. It is a very amazing plant. Very forgiving. Great tip! Wow…you’ve had it for so long…I love that! My fiddle leaf leaves are turning brown at the tips. I thought it may have been from not enough water and so i gave it a good watering. Im waiting to toosee if it helps but in the mean time what type of plantfood should i should give it and how often. Jessica, we have a 20X20 ft. Atrium under a 20X20 ft. skylight in the middle of our house and in the sunniest corner is a two story tall Fiddle Leaf Fig we planted to replace a Ficus Benjamina that outgrew the space and had to be cut down. Our fig is almost back to that point after 10 years. We have pruned back branches which have threatened to completely block off light to the other plants but it just keeps going. Since it is so tall, it is a bit spindly, but I can tell you it is one tough plant. Most people who see it are amazed since they all think they are just small houseplants. I assure you they are not.